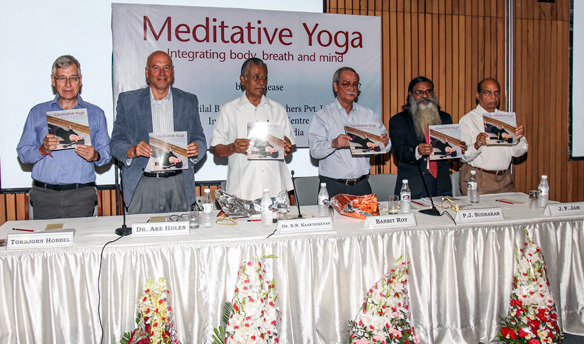 The book Meditative Yoga: integrating body, breath and mind, which builds on more than 40 years of teaching in Acem School of Yoga, was launched in India on 13 October this year by the highly esteemed Indian publishing company Motilal Banarsidass. Both authors of the book, Dr. Are Holen and Mr. Torbjørn Hobbel, were present at the book launch in New Delhi, along with a number of dignitaries from Indian society. The Indian edition is a black-and-white version of the international edition, which was published in full-colour print on Dyade Press earlier this year. 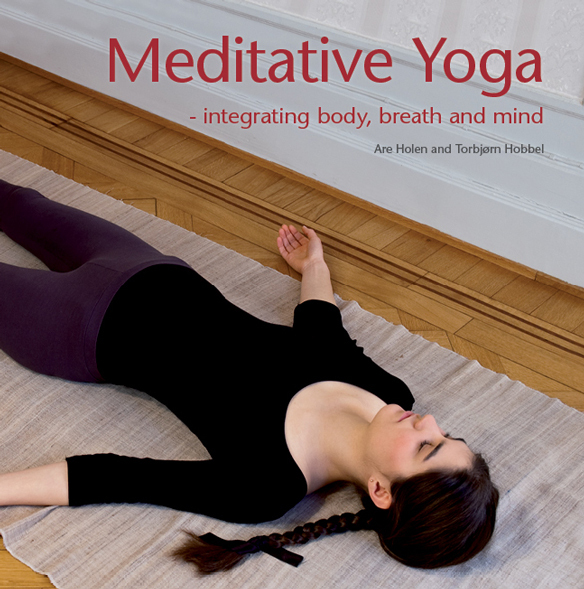 The book is a revised translation of the Norwegian edition Yogaboken – bevegelse og pust. In connection with the book launch in New Delhi, the weekly magazine Speaking Tree, published by The Times of India, printed an interview with Dr. Are Holen, founder of Acem School of Yoga. From left: Torbjørn Hobbel (head of Acem India), Are holen (head of Acem International), D.R. Kaarthikeyan (former head of Central Bureau of Investigation and Human Rights Commission), Banbit Roy (former Indian ambassador to Norway), P. J. Sudhakar (Director News of Doordarshan), J. P. Jain (Director Motilal Banarsidass). Hi everyone, it’s my first go to see at this web site, and piece of writing is genuinely fruitful designed for me, keep up posting these types of posts. ← Killing the common cold viruses with meditation?